Time is all too precious for parents with children with life-threatening illnesses. But in the short time that Florence Marigold was alive, she taught her mother Michaela, the timelessness of love. 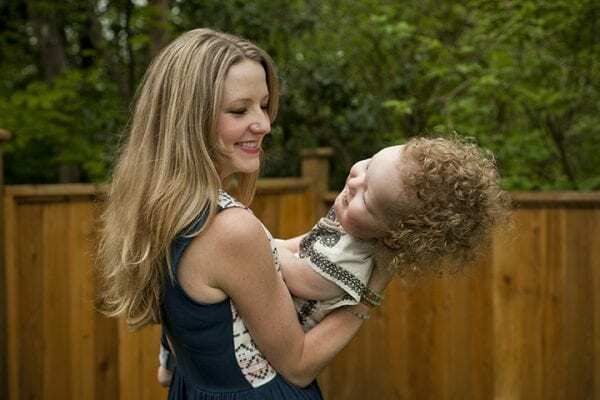 At 4 months old, Florence was diagnosed with Spinal Muscular Atrophy type 1, a disease that results in physical challenges, including muscle weakness, trouble breathing, coughing, and swallowing. She became physically dependent upon her parents for care and support. The day before Mother’s Day, Florence passed away peacefully leaving behind a timeless aroma of marigolds. Her presence still endures at Canuck Place. Along the pathway, a trail of planted marigolds still blooms. Michaela and her family continued to be supported by Canuck Place, where they can introduce their son to the place that helped them say good-bye, and teach him about the sister he knew too briefly. Although Florence is no longer with her family, her love lives on, a timeless memory that lives with her family, and inspires Canuck Place supporters to donate and plant Marigold flowers in her honour. Timelessness is featured in 2016’s 12 Gratitudes. Follow along as we share joy and gratitude.